Attention: folks in Vancouver BC! Do you have an artwork on a sheet of canvas that you'd like stretched onto a frame? A completed fine art masterpiece that's finally ready to be hung on your—or a client's—wall? 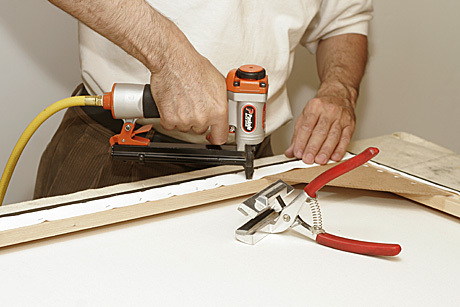 We also offer canvas stretching services. Here's a link to our handy online price calculator for you to calculate how much it'll cost to have your canvas stretched, based on size. We gallery wrap our canvases, which means that the sheet of canvas is wrapped around the side and back of the wooden frame it's being stretched onto. Staples and fixtures are attached to the back, so that they are not visible from the front or side of the artwork when it's hanging from a wall. Since we make our stretcher frames in-shop, custom sizes can be done. We just finished stretching a huge textured oil painting for a customer! 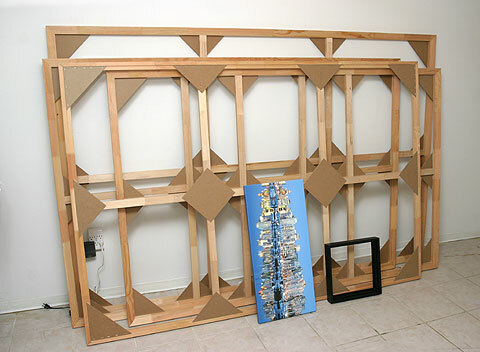 Its final dimensions were 94” x 48”, stretched onto 1 3/8”-deep stretcher bars. If you're considering having an artwork of a similar size stretched, but are unsure about how to transport something of that size to your destination, we do offer a delivery service for a fee. Contact us by phone or e-mail to get a quote.